Browse editions of the Congressional Record by date, from Jan. 4, 1995, to the present. Perform keyword searches within individual documents or sections within documents. Save documents to your preferred iPad PDF reader. 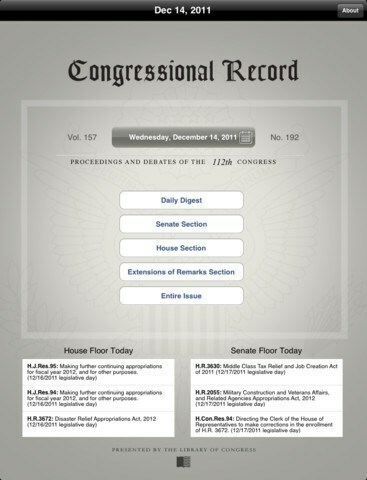 Identify the latest bills and resolutions considered daily on the floor of the U.S. House. Identify the latest bills, resolutions, treaties and nominations considered daily on the floor of the U.S. Senate.